If you wish to contact us for any reason please do not hesitate to get in touch. 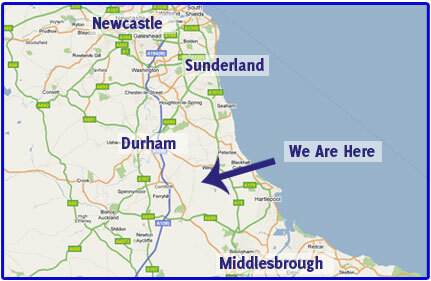 We are located in Trimdon Grange only a few minutes from both the A19 and the A1(M) motorways. 25 miles south of Newcastle-upon-Tyne and 8 miles from Durham City. Click on the map below for our exact location on Google Maps.